Operators behind two-way mirrors control the mannequin-patients, speaking for them to tell providers what they need. The uncanny valley is real. It lies in suburban Chicago, just southwest of the city, where, in a string of hospital rooms, mannequins with pulses blink and talk. There, in Advocate Christ Medical Center and Advocate Children's Hospital's simulation center, doctors and others interact with unbelievably real-looking medical dummies, learning how to react to specific situations. The new center—Advocate's second and largest—includes a faux birthing suite, faux ICU and faux surgical rooms. In those rooms, clinicians and non-clinicians alike work through staged scenarios with the goal of improving patient safety. Doctors might practice difficult intubations, for instance, while environmental services associates might practice cleaning a room while talking to a patient. "We're providing training in groups, which is how they actually practice," said Kelley Sava, director of system simulation for Advocate Health Care. After going through a simulation, a group debriefs in one of the conference rooms in the center. 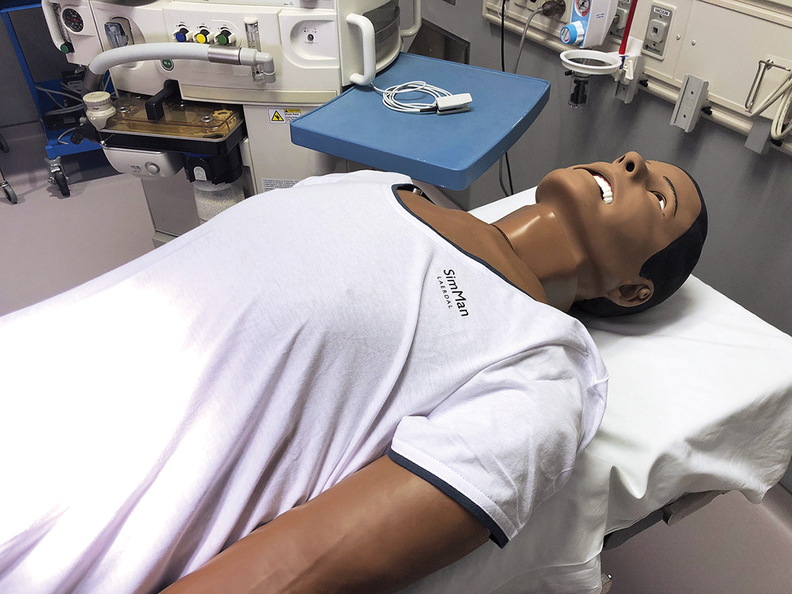 The key to success is not only the technology—it's how much the people buy into that technology, treating the dummies as if they were real, said Dr. Hannah Watts, medical director of simulation for Advocate Medical Group. Like many premature infants, this mannequin lives in an incubator. This "patient" can give birth ad infinitum. For tasks that require a lot of physical manipulatio, Advocate provides individual body parts that can go through the wear and tear of, for instance, suturing.